Studio Operations is comprised of multiple disciplines related to the post production of our films. 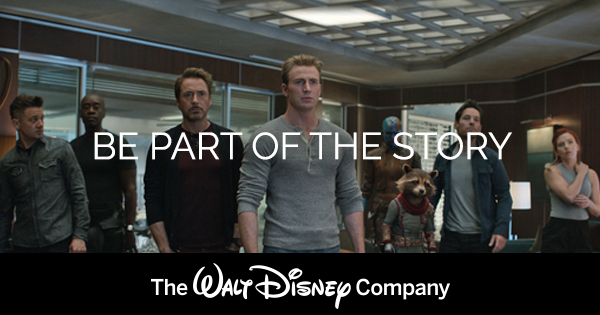 This includes localizing formats for global theatrical release, ensuring consistency and continuity in the voice and representation of our characters in media formats worldwide, ensuring secure delivery of films to exhibitors, retailers, and homes worldwide, converting of classic film content into digital formats, and managing of all Walt Disney Studios production and post production facilities (including sound stages and the Digital Studio). The primary function of the Associate Client Services Representative (ACSR) is to assist the Filmmaker Services Representative (FSR) and the CSR team that serves as the Disney Digital Studio Services (DDSS) liaisons and “owns” the customer relationship between internal Walt Disney Company clients/stakeholders, 3rd party customers and the operations/delivery function for DDSS. The Associate CSR should be able to assist and at times completely handle the work of the CSR in coordinating with the operations team to ensure timely, accurate, and efficient delivery. Partners with FSR with the DDSS marketing efforts to reach and showcase the filmmakers. Such as, but not limited to creating and editing stories for the DDSS web site and social media outlets, as well as coordinating efforts for others within DDSS to participate in preparing content for the website or other marketing functions In addition, the ACSR would assist with our participation in the filmmaker groups/societies/ and guilds. Point person between the client and studio operations, Facilities Services and Support (FS&S). Tracks, monitors, and follows up on FS&S requests. Entertainment industry experience in motion picture post production, editorial, and visual effects at a post production facility and/or studio. The candidate should also have hands on experience working with the creative filmmakers and an ability to communicate everything from a visual effects workflow to their lunch order in an efficient and straightforward manner. Prioritizes work activities; plans and stays organized in order to meet commitment and productivity standards. Knowledge of the workflows and services offered within DDSS (with the ability to learn and grasp new workflow concepts in the context of the industry’s changing requirements). BA Degree in Communications, Film Studies, or other Production related major.